BOS Batikap: Independent Garu Shows Us All How It’s Done! September 13, 2018 — Growing up can be hard — especially when the time comes to leave home! For most modern-day humans, this means finding a job to financially support oneself, and a new place to live. For orangutans, this means being pushed out of the nest. Literally. By the age of around 8-9 years, a juvenile orangutan will usually be pushed away by their mother as she prepares to have another baby. Even after this, juvenile orangutans will often return to visit their mothers and new siblings. Life in the jungle can be challenging, and even orangutans can appreciate the comforts of coming home to mom! 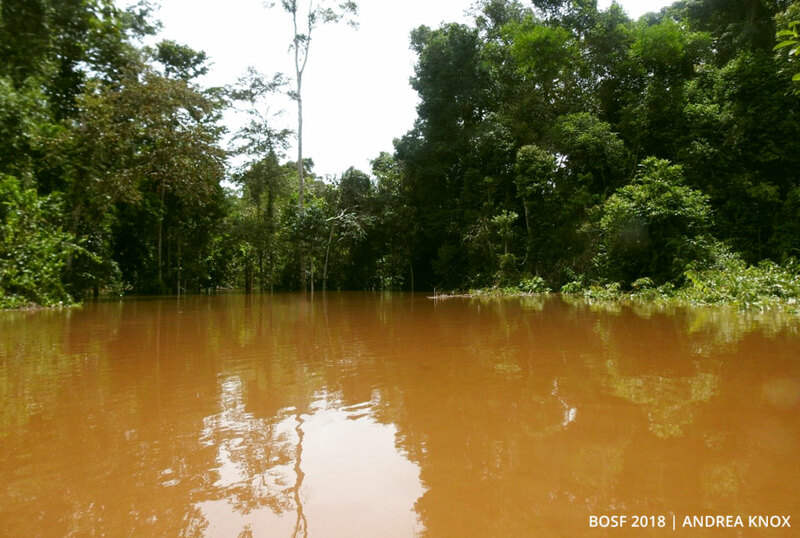 In the Bukit Batikap Protection Forest, we have watched many orangutan babies grow and learn the survival skills they need from their mothers. Then, the day comes when they must move on and live independently. Young orangutans are often reluctant to leave, and will try to come back to their mothers as much as possible! However, this was not the case for Garu, a female orangutan who was released to the Batikap forest with her mother, Gadis, in November 2012. 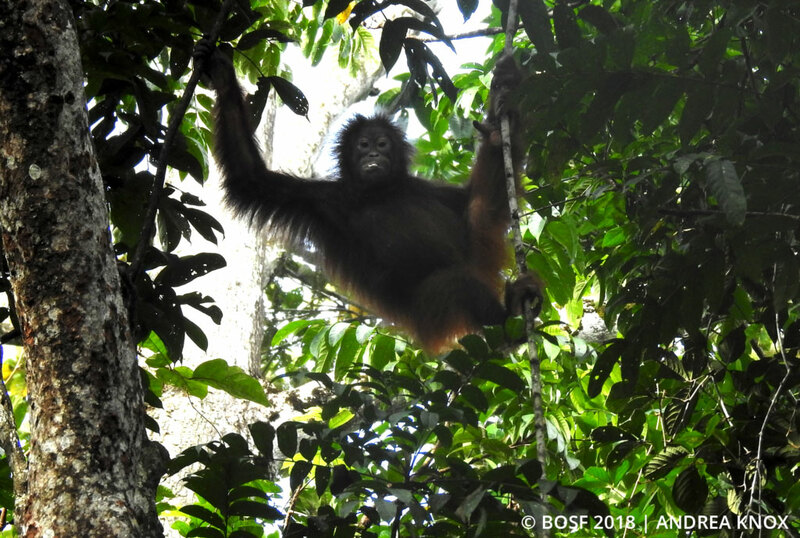 Our Post-Release Monitoring (PRM) team from Camp Totat Jalu in the Bukit Batikap Protection Forest recently caught up with Garu and noted that she has grown more independent during her six years in the wild. Even when she was very young, Garu displayed signs of being self-sufficient, and did not feel the need to always follow her mother. She could easily find food on her own, and would often venture a great distance away from mother Gadis. She was so notorious for this that our post-release monitoring (PRM) team members always knew they were in for a tough day of observations when they had to follow Gadis and Garu. 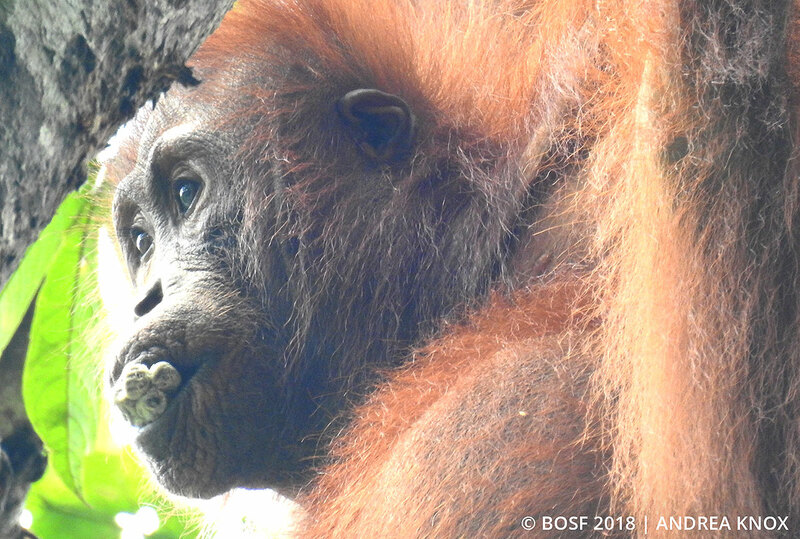 The team recently spotted Garu feeding on forest fruits without mother Gadis. Instead, she had gathered with mother-infant pair Monic and Messi, and a larger juvenile, Lamar, who has been ranging alone successfully for nearly two years now since the passing of his mother. During observations, Garu – or as we like to call her, Miss Independent – was having a lovely day feeding on fruits and playing with other young orangutans. We, on the other hand, were sick with worry about Gadis! Where was she? What if something had happened to her? In the coming days, finding Gadis became a priority for the team. Luckily, after a few days of searching we finally found her, and she was soon reunited with Garu! The two spent the morning feeding together, but when Gadis grew tired and began making herself an early nest, Garu decided it was time to venture off alone again! For the next week, we observed Gadis with no Garu in sight. Clearly, Garu has truly embraced adulthood without being pushed away by her mother. What a brave feat! Independent Garu is indeed a model orangutan; she feeds and ranges well without help from her mother. She still enjoys spending time with others, but has definitely taken her first steps toward adulthood. Now that Gadis does not have Garu to care for, maybe we will see another baby from her in the coming years! Please make a donation to BOS Nyaru Menteng today!